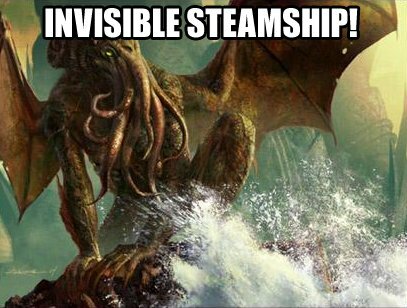 2 Responses to INVISIBLE STEAMSHIP! This… This is genius. May it never end.